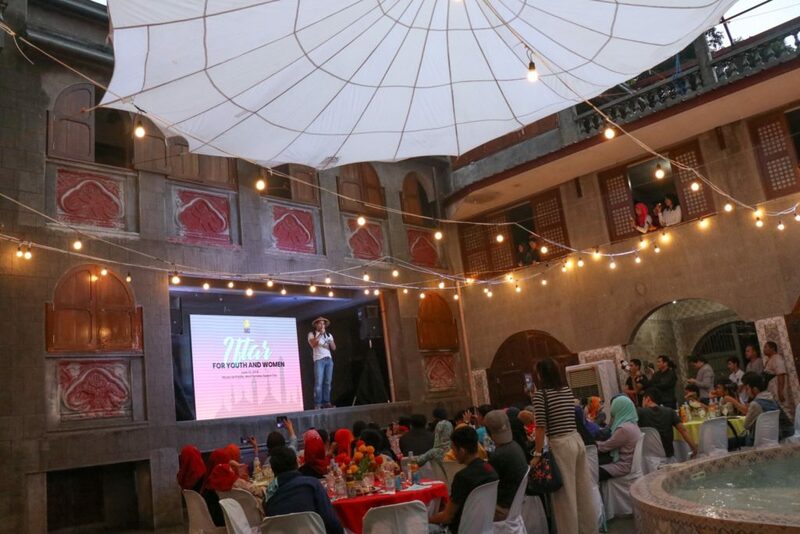 QUEZON CITY (June 13, 2018) — Some 160 women and youth from the Muslim communities of Baseco in Manila, Maharlika Village in Taguig, and Culiat in Quezon City gathered at the Museo Padilla, owned by humanitarian actor Robin Padilla, Tuesday for iftar, or breaking of the fast during the holy month of Ramadan, to celebrate diversity through food. The feast included kapsa, an Arab-inspired chicken and basmati rice dish; Maguindanaoan beef rendang; Meranano piaparan, stewed chicken with turmeric, grated coconut, and coconut cream; and, daral, a Tausug dessert of sweetened young coconut spring rolls, prepared by the women at the back of House Collab Kitchen in Quezon City. “Alert believes that sharing food is one way to address this lack of understanding. When introduced to different types of Moro food – whether Meranao, Maguindanaoan, Tausug, Yakan, or Sama – we are opened to new ways of tasting and thinking. We realize that we are more alike than different,” Alert’s Country Manager Nikki de la Rosa explained. According to de la Rosa, Muslim youth and women experience so much discrimination solely because of their faith. They face difficulty getting jobs if they have Arab-sounding names, or they are not allowed to practice their faith freely – many women are told to remove their hijab in many workplaces. Discrimination stems from common prejudices that non-Muslim Filipinos have towards Filipino Muslims who are deemed violent and untrustworthy and should be avoided, she stressed.“Hopefully, we can begin appreciating, instead of fearing or condemning our Muslim brothers and sisters. We will know that there is, in fact, no “other,” because we have the same love for food, for gathering, for celebrations, for country,” de la Rosa stressed.De la Rosa stressed that there is bigger work ahead for women and youth, especially in advocating for the passage of The Anti-Discrimination Bill that would protect the rights of religious and indigenous minorities and ensure equal socioeconomic opportunities for all. Actor and peace advocate and humanitarian Robin Padilla graced the occasion, which was held at his property, Museo Padilla. He extolled the role that women and youth play in peacebuilding. He said that for him, solidarity meant doing good for others without expecting anything in return. Padilla urged both Muslims and non-Muslims to follow the teachings of their religion and work for peace. 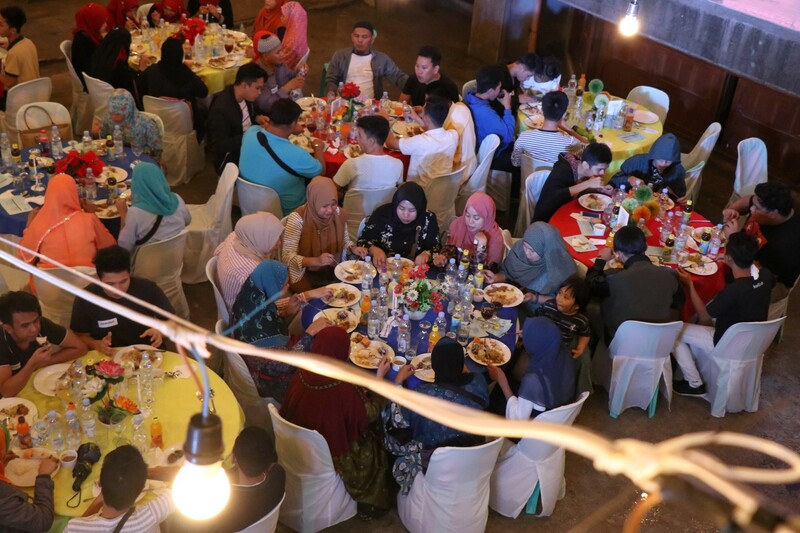 During the program, Alert showed “Crescent Feast” a 10-minute documentary on how food promotes cultural understanding and bridges religious divides.